Enter for a chance to attend the 2019 Juno Awards in London, Ont. Have you ever dreamed of being part of Canadian music's biggest night? 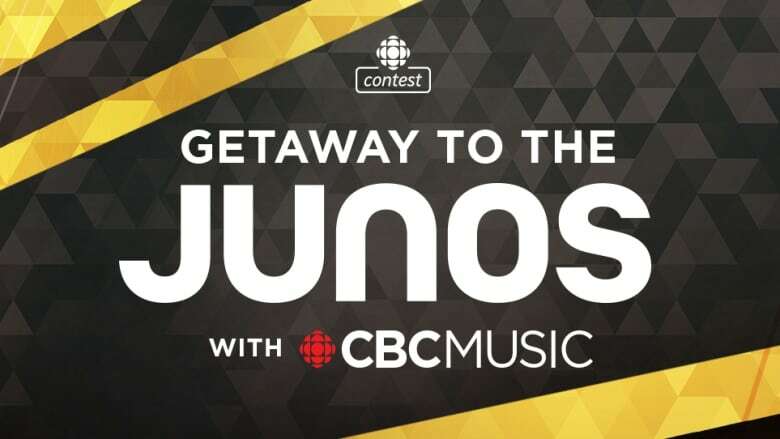 Enter CBC Music's Juno flyaway or trainaway contest for a chance to attend the 48th annual Juno Awards, coming up on March 17 at Budweiser Gardens in London, Ont. The prize package includes return airfare or train fare, depending on your location, and standard hotel accommodation for three nights, as well as tickets to exclusive Juno events and the 2019 Juno Awards. The contest entry period begins Feb. 11 at 12:01 a.m. ET and runs through Feb. 25 at 11:59 p.m. ET. If you live in or near Toronto, Ottawa, Kitchener-Waterloo or Windsor, you can enter the contest and find more information on this contest entry page. If you live outside of those regions, you can enter the contest and find more information on this contest entry page.